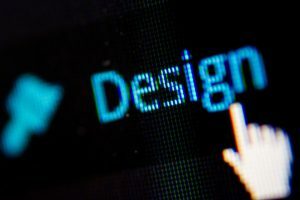 When it comes to logo design in St. Charles, Balta Design has the experienced Graphic Designers to create a unique and representational logo for your company. We understand that logos are an important representation of your business and allow people to recognize your business. Allow Balta Design to assist with developing your business logo, your brand, and your presence. To Contact one of Balta Design’s experienced Graphic Designers today, please call 630-492-0147. You can also send us an email at info@baltadesign.com or fill out the form on this page and one of our knowledgeable associates will get back to you soon. Our Graphic Designers are experts at generating meaningful images for logos. We can create a logo to represent you and your company in a few ways. We can either have one of our Graphic Designers create a few from scratch and you pick, or we can modify an existing logo, or work directly from specific instructions or side by side with you. You can be as involved in the logo design process as you prefer. Balta understands that some business owners love to be very involved, while others prefer to let someone else handle the details of the creative production. Balta Design understands that a logo is very important, whether it is used online or in print. Our Graphic Designers have the experience and training to create stunning yet meaningful logos at an affordable price. You can depend on Balta’s Graphic Designers to create an exciting logo for your company. To Contact one of Balta Design’s experienced Graphic Designers today, please call 630-492-0147. You can also send us an email at info@baltadesign.com or fill out the form on this page and one of our knowledgeable associates will get back to you soon.